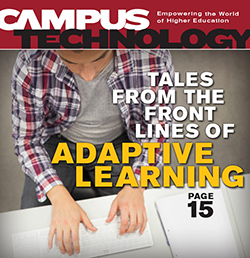 Implementing adaptive learning technology in college courses can be an uphill struggle but well worth it, according to pioneering faculty members. Purdue University is reducing textbook costs with a digital publishing platform that can deliver interactive content to any device. How do you keep your campus data secure in an ever-changing landscape of behaviors and risks?